Austrian serial killer Johann "Jack" Unterweger was born on August 16, 1950, in Judenburg, Styria Austria who was also known as Jack the Writer, Hafenliterat, Knastpoet, and The Vienna Strangler. He murdered several prostitutes from country to country. Jack was released from prison in 1990 as an example of rehabilitation after being convicted of murder in 1974. Jack became a journalist after his release, but it did not take long for old habits to kick back in as he started his killing spree again. Jack was convicted of several murders and took what he thought was the easy road out and committed suicide at the age of 43 on June 29, 1994. Jack"s mother Theresia Unterweger was a Viennese barmaid/waitress, and his father"s name is unknown, but his father was an American soldier. Theresia was imprisoned for fraud while she was pregnant. She was released from jail and moved to Graz where she gave birth to Jack. Jack was sent to live with his grandfather and his wife to Carinthia after his mother was arrested again in 1953. Sources said that his mother was a prostitute. Jack"s childhood was different from many other kids as he was in prison on many occasions for petty crimes, and assaulting a prostitute. Jack was convicted sixteen times from 1966 to 1975 for sexual assault and small crimes, most of his time from 1966 to 1975 was spent in jail. Jack strangled 18-year-old Margaret Schafer with her bra in 1974 and was sentenced to life in prison after being arrested in 1976. He wrote several short stories, poems, plays, and one autobiography titled, Purgatory or The Trip to Prison - Report of a Guilty Man. A campaign to pardon Jack and release him from prison began in 1985, but Austrian President Rudolf Kirchschlager declined the petition stating that Jack needs to spend a minimum of fifteen years in jail according to court orders. Viennese intellectuals, political radicals, writers, artists, journalists, politicians, author/2004 Nobel Prize winner Elfriede Jelinek, Gunter Grass, Peter Huemer and Alfred Kolleritsch. Jack Unterweger was released on May 23, 1990, after he served fifteen years of his life term in prison. Jack"s autobiography was taught in schools after he was released from jail and his children stories were performed on the radio. He went on to hosting a TV program that discussed criminal rehabilitation and began working as a reporter for the public broadcaster ORF. He reported stories on several murders that he was later convicted of. Authorities discovered that Jack killed seven people within the first year he was released from prison including a prostitute in Czechoslovakia and six other prostitutes in 1990 in Austria. Austrian magazine hired Jack in 1991 to write about crime in Los Angeles, California, and how the U.S. and European"s feels about prostitution. He participated in a ride along of the city"s red light districts after meeting with police. Prostitutes Shannon Exley, Irene Rodriguez, and Sherri Ann Long were severely beaten, sexually assaulted with tree branches, and strangled with their bra"s to death while Jack was in Los Angeles. Austrian authorities suspected Jack of murdering the three prostitutes and kept Jack under surveillance until he left the country to travel to the U.S.
Law enforcement gathered enough evidence to arrest Jack, but Jack Unterweger was nowhere to be found. He was arrested on February 27, 1992, by FBI in Miami, Florida, after an extended chase through Europe, Canada and the U.S. he was charged with 11 homicides including one in Prague. He was sentenced to life imprisonment on June 29, 1994, without the possibility of parole. Jack hanged himself with a rope he made out of his shoelace and cord from his track suit/trouser on June 29, 1994, during the night at Graz-Karlau Prison. 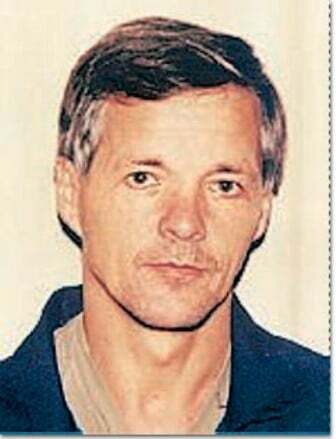 Jack Unterweger serial killer is a male serial killer. Jack the Writer, Hafenpoet (prison poet), The Vienna Strangler is a male serial killer.